I usually Don’t use any other spice, but if you want , you can use 1/4 th tea spoon ginger paste and 1/4 th teaspoon garlic paste. I Sometimes love to add kalojeera ( nigella) to my batter . It gives a beautiful aroma and flavor . I noticed that If I don’t use besan at all the beguni remains crisper for a longer time. But My husband loves the flavor of besan so I use it . But if you don’t want it , you may opt it out . 1. Cut the eggplant into medium thin lengthwise sizes and rub some turmeric and salt on them. 2. Mix all the ingredients together and beat them with a hand electric beater until fluffy . This is the secret of being crunchier for a longer time . Those who don’t have electric hand blender , don’t worry . It won’t affect the crunchiness . But if you beat them until fluffy the result is obviously better as that would help retain the crunchiness for a longer time and it helps to make the bagunis puffed up ..
3. Dip the eggplant into the batter and deep fry them at medium low flame until brown . The flame should be at medium low flame from the begining . You have to be patient in frying them . The longer you fry them , the crisper they will be . 1. Always use chilled or ice cold water in making the batter . They help to get the crispyness . Some add drinking soda in making the batter too . 2. Try to use the batter as soon as you make them . Otherwise the baking powder and baking soda won’t work . So if you want to make the batter ahead of time , do it , but don’t add baking powder and baking soda that time . And keep the batter in the refrigerator till u use them. Add baking powder and baking soda just before you are ready to fry the beguni.. 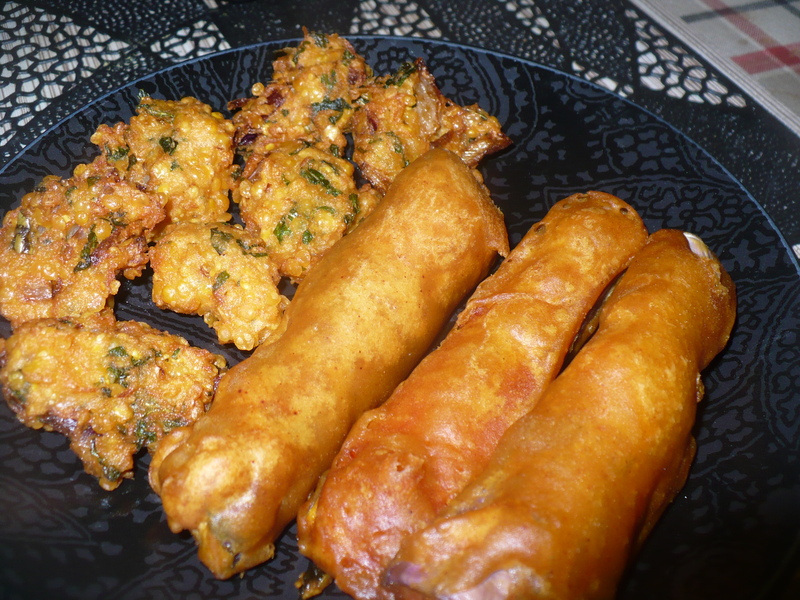 This entry was posted in Glossary / Notes, Snacks and Lighter Fare and tagged Beguni recipe, eggplant fritter, mochmoche beguni. Bookmark the permalink.